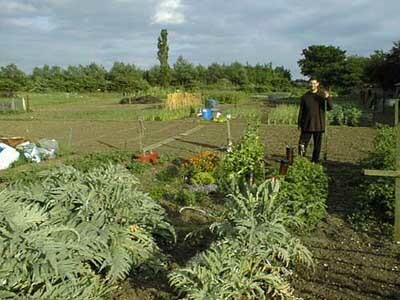 We manage the allotments at Foster Road, Trumpington. Foster Road is a beautiful 4-acre site, rich in wildlife. Here are some directions to help you find us. Trumpington Community Orchard is adjacent to the allotment site. Come to our Seed Swap event early in the New Year. Come to our Plant Swap events in May, June and October. We have a short waiting list (as at 11/10/18). To apply for a plot, please send us an email, mentioning your postcode and phone number. * Note that you must sign this Tenancy Agreement before taking a plot here. Currently we have around 100 tenants and a further 20 associate members. All local gardeners are invited to become associate members (£4/year) which gives access to garden supplies at our Trading Hut, our annual seed schemes, and social events. Any friends/relative who holds a second gate key in order to access a plot independently from the plotholder needs to be an associate member. To apply for associate membership, please print, complete and return this form and return it together with the membership fee. *Residents of Clay Farm, Glebe Farm, Ninewells and Trumpington Meadows should apply to Cambridge City Council for a plot at the new allotment sites, which should be available soon.